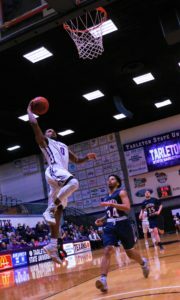 After getting off to a quick start and maintaining that momentum throughout the game, the Tarleton State University Texan basketball team brought down the Northern New Mexico Eagles 98-50. Texans were able to take advantage of their size early in the game as the Eagles started with a man-to-man defense, allowing the Texans’ posts to pick up easy, close-range baskets. “We just really pushed it in transition, my teammates ran the floor and I looked for the open man. I really don’t think people can stand in front of me man-to-man. 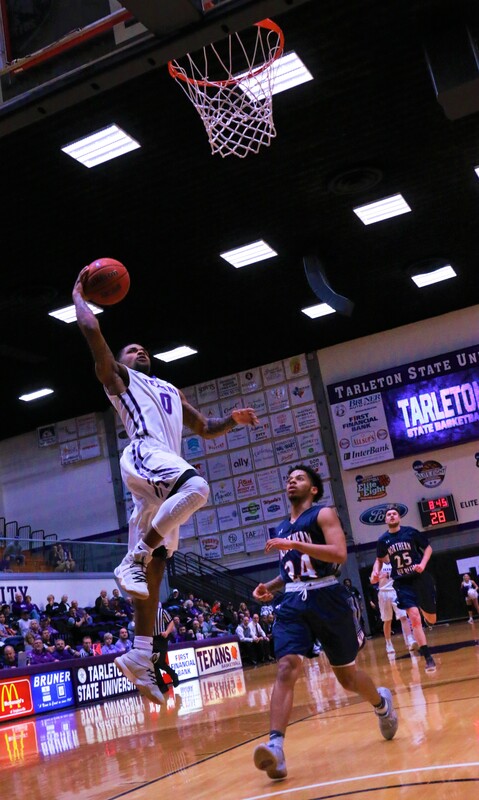 I tried to take advantage of that,” said Junior guard Corinthian Ramsey, who supplied the Texans with 16 points, 16 assists and eight rebounds. Though not a conference game, the Texans flew past the Eagles and are preparing for their second face-off on Thursday against the University of Texas Permian Basin Falcons, after a 7-point fall in January. Chris Reisman, associate head men’s basketball coach, said UTPB is one of the best teams in the Lone Star Conference. He added that the Texans had a 12-point lead during their last game against the Falcons. “For us, it’s about sticking to our game plan,” Reisman said. “I thought we kind of got away from what got us that lead- getting the ball inside, not turning the ball over and making them really take shots from the perimeter,” he said. 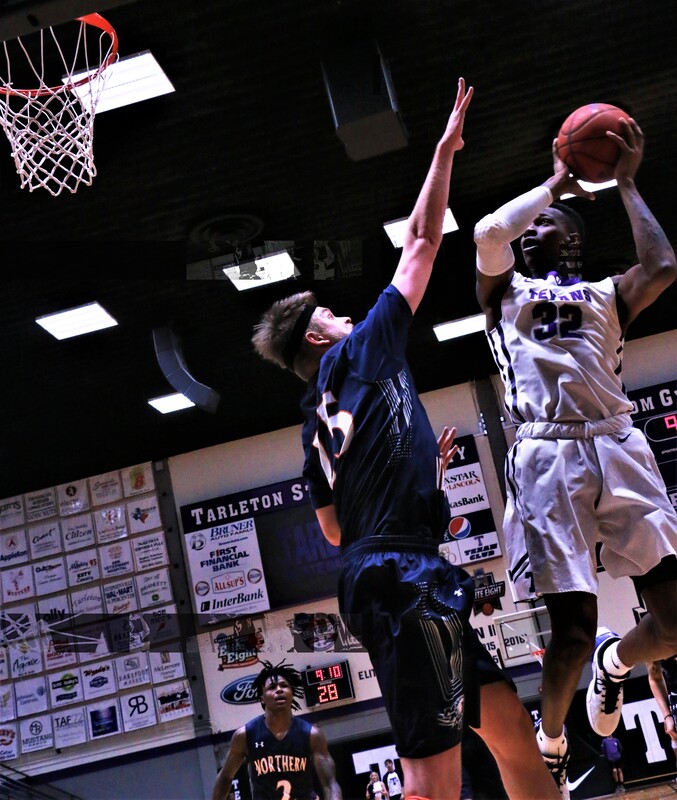 The Texans shot 62.5 percent from the floor, scoring 16/28(57 percent) 3-pointers, one away from tying a school record from a 1997 Central Oklahoma game. Freshman Preston Enloe accounted for 15 points, while freshman Sam Marshall scored a career-high 12 points. Due to a high lead early on against the Eagles, Reisman started working his bench in the second half, allowing for freshmen dunks and swishes. Two games away from the Lone Star Conference in March, Reisman said the team needs to be prepared for late-season injuries and high-paced competition. “So many things can happen late when you play so many games in so many days. Guys can get hurt, they can get tired, so we have to keep that energy level high,” he said. the game tonight, and Saturday’s game gave the team a boost in cohesiveness. 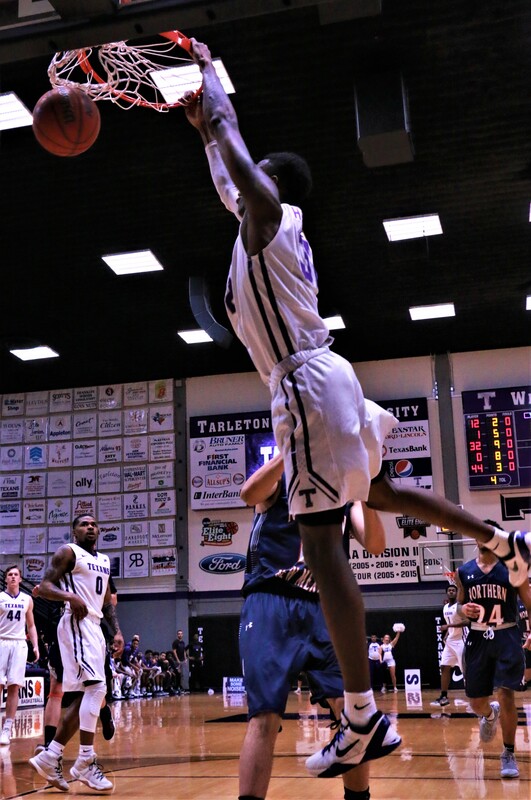 The Texans take on the Falcons at 7:30 p.m. tonight in Wisdom Gym.